Any CAG Member can add an event to the calendar. Remember to include a link to a thread related to your event! An online competition members can fish from anywhere in North America, the Big 4 comes around every May and lasts for the entire month! Held Every September, and also known as the "Chicago Carp Classic" this friendly tournament is followed by the annual meeting of CAG. 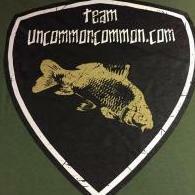 The CCC hit the road a few years ago and was re-branded the "CAG Carp Classic" to take our annual meeting to members in different locations across the country.